I had two 1st Birthdays in my family last weekend. 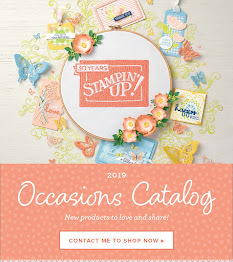 I know these are really old stamp sets but I love them a lot. 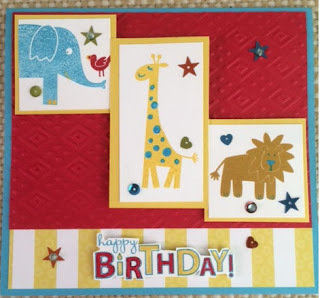 For the little boy’s card I used primary colors.The stamp set is “Wild About You.” I used the new Boho Chic Textured Embossing Folder and Bright Sequins to accent. For the little girl’s card, I love pink cupcakes. I colored Rhinestones pink and scattered them around the icing of the cupcake. I used the unusual square shaped card for this week’s sketch for this week's PaperPlayers sketch!